He said to them, “I have eagerly desired to eat this Passover* with you before I suffer." Why. Why did He desire it, and for how long? He is God, how long can God desire one Passover? I'll tell you how long, since the fall of Adam and Eve. Before there was a Passover, God desired this one. Why this one? Because it is a sacrifice offered that would NEVER be rejected by God. If you read the Old Testament, there were sacrifices offered to God that were rejected by God. Many times He says he will not accept their burnt offerings because of their sin. Many hear an angry God, I hear a God hurt by our sin because He is so much in love with us. Did God have to reject the burnt offerings of the Jews because of their sin? Yes. If God is perfectly just, by God's own word, there were times when God did not accept the offerings from the altar at the temple. So what did God desire? God desires a heart offered to Him for the people He loves. A heart so great, so poured out that their was no human heart on the earth that could offer such a perfect heart to God. So God fashioned His own heart through the lineage of Jesus through thousands of years until the perfect heart was conceived in the womb of a Virgin. Birthed of flesh, God's own heart, the Sacred Heart, beat and began to be poured out to God for those He loves. Now we are here, at the Passover, the moment God had waited for for so long. Although Jesus must suffer, it was not His suffering He was anxious for, .....it was this, the first Mass. Yes He knew of His suffering, and predicted it many times, but did not express eagerness for it. (Who would?) Yet He said to them, “I have eagerly desired to eat this Passover with you before I suffer.."
God through this Passover was transforming the Passover to a perfect oblation that would always be accepted by God, and NEVER rejected. 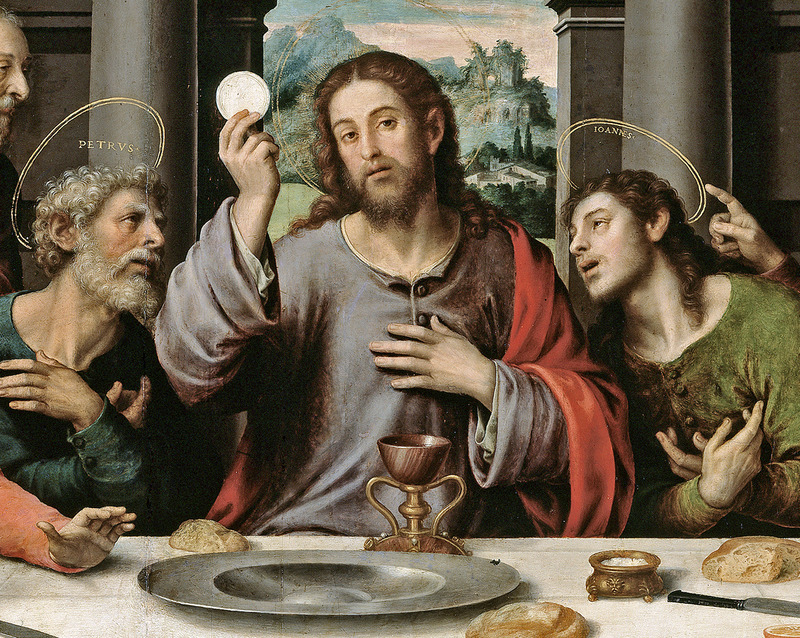 By God's true and real presence, body, blood, soul and divinity in the Holy Eucharist, offered to the Father for all people on the Earth, a perfect, spotless oblation that would never be rejected by God was put in place. God is perfect, and He will never go against His word. We must remember God said that "...cursed is anyone who hangs on a tree." An oblation would need to be offered to God to overcome this so that the cross would be our salvation and not our condemnation. If we think logically, we can see this is true. If God's word is true, then there would have to be an oblation offered to God that was perfect, pure, and holy, that God would never reject. This would have to be the real presence of Jesus in the Eucharist, mere bread and wine would not have done it. 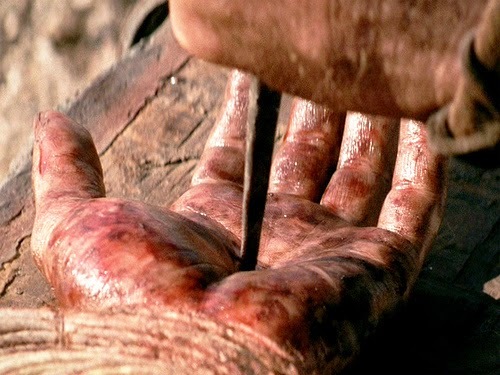 In the past, offerings were rejected, but the body and blood of our Lord Jesus would never be rejected. Jesus's body and blood are so precious to the Father, otherwise He would not have formed them as He did in the womb of the Virgin Mary. God in the Old Testament did not desire to reject the burnt offerings of the Jews He loves, but because God is perfect, His justice is perfect and in relation to the gravity of their sin, God's perfect justice demanded it. It is the same as the souls in Purgatory. God does not desire to see the suffering of those He loves so much, but His perfect justice demands it. This is the Passover, the Last Supper. This is our High Priest, Jesus offering His Body and Blood to the Father so that the cross can be not our condemnation but our salvation. After the sin of Adam and Eve, the heavens where closed. 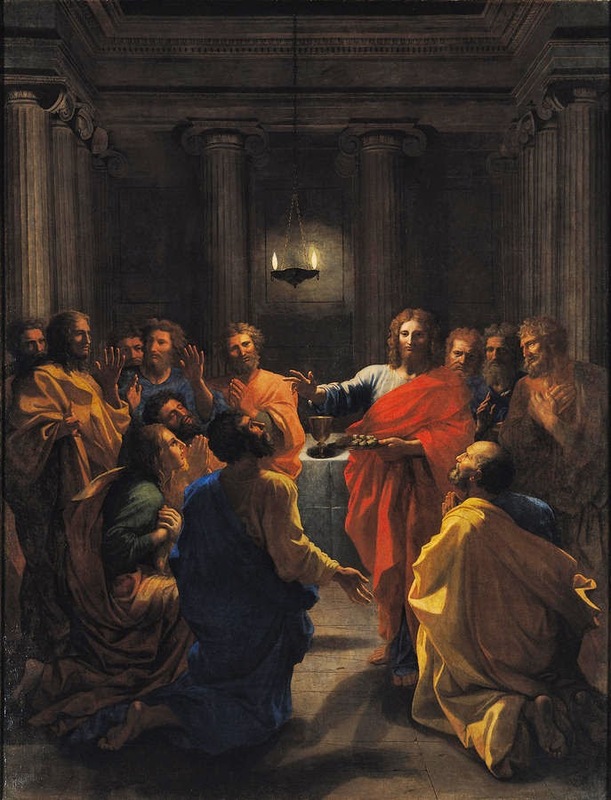 Jesus was opening the Heavens at the Last Supper, but they would not be able to stay permanently opened until after His final oblation, the cross. Soon, the flesh would be flogged, and painfully nailed to a Cross. Think about that. God in the flesh would pour all out in suffering for us. God is perfectly just, and by His love of the Son, if the Holy Mass had not been offered to the Father first, then at His Crucifixion, by God's perfect justice, we would have been destroyed. God can do anything He wants. If He gives us the Holy Mass before the Cross, there is a reason for it. God requires nothing, He is God, so if God does something on the Earth, it is for our benefit. The Holy Mass is not greater than the cross, but provides us a path to the cross, and a union with the crucifixion of our Lord like no where else on the Earth. Now you know how great the Holy Mass is that God gives us. Jesus is not re-crucified, but in the Holy Mass we re-present God with the oblation of His son, and say, "God remember the Cross and be merciful to us." And by the real presence of God in the Eucharist offered to God, an perfect oblation is offered to God that God will never reject. No matter the sins of either the Priest or the people, God will always accept the body and blood of His son in the Holy Eucharist as an oblation for our sins. Not just Catholics, but all people on the Earth benefit from each and every Holy Mass. The Holy Mass IS THE GREATEST VICTORY UPON THE EARTH.